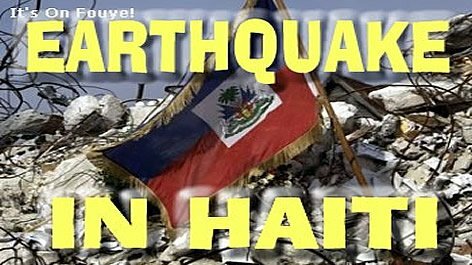 Are you prepared for another damaging Haiti earthquake? Haiti's Unité Technique de Sismologie (Technical Unit of Seismology - UTS) has recorded 20 earthquakes in the country during the first 3 months of 2018 alone. These earthquakes, ranging from magnitudes 3.1 and 4.6, occurred at depths between 10 and 25 kilometres (km). Note that the earthquake that severely damaged Haiti in January 2010 was a magniture 7.1 earthquake. Haiti's Technical Unit of Seismology (UTS) is a public entity created on 7 February 2011 by decision of the Minister of Public Works (TPTC), Chairman of the Board of Directors of the Bureau of Mines and Energy (BME), in order to respond to the multiple expectations generated by the devastating earthquake of January 12, 2010. To answer your question, yes, I am perfectly prepared for the next earthquake in Haiti. The next big one won't hit Haiti, but the DR, or Jamice, Puerto Rico or Cuba. In LA where I lived, the earth shakes every day. They keep talking with a stupid smile about the Big one. No big one since 1994, Northridge, I was there. Don't fall into that trap, Woodring; it's negative.